As a relatively new sport, mountain biking is still largely a misunderstood outdoor activity that is often associated with an irresponsible adrenaline junky image. At Flowtastic.bike we aim to provide an element of excitement without losing sight of safety and a respect for the environment and its other users. Our guided rides are for groups of up to 8 individuals per guide, although as part of British Cycling we have access to extra qualified guides for larger groups. Rides start from as little as £35 per hour (Min. 3 hours/ half day special offer £99) and only £10 per additional rider in the group so it pays to bring along your friends! Weekdays and weekends are catered for. One-to-one guiding is available as well as groups of only guys, girls or kids. Bike hire can also be organised through Nirvana Cycles in Westcott Surrey for those in need of wheels. We also have access to a selection of E-bikes (electric assisted bikes) for those who wish to ride but need some help with the fitness side of a trip. 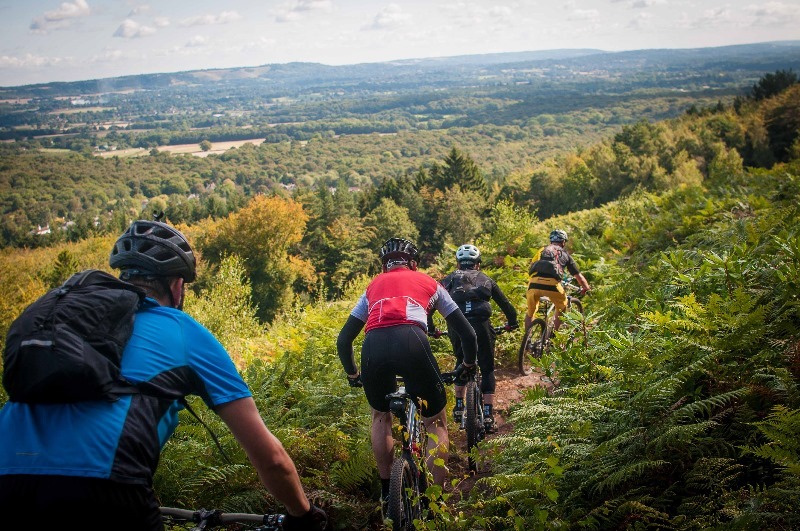 On one of our rides you can expect to improve specific techniques as well; riding rocky climbs and sweeping descents, braking safely on loose ground, correct body position and bike handling, trail reading and "correct line choice", navigation and map reading, learning about trail-side maintenance, learning the countryside and mountain bike conduct codes. In addition to hourly guiding we also offer bespoke tailor-made trips to Wales, The Quantocks, as well as the other trail centres around the UK and abroad. These trips can incorporate transport, accommodation as well as the guiding itself. If you've a place you always dreamt of mountain biking, we can get you there and more importantly look after you, taking the worry out of any biking adventure, just sit back and enjoy the ride.